a pretty Christmas salad. It's so tasty we have it on Sundays as a side dish to our weekly BBQ (Jane). Note: You can prepare this salad a bit ahead of time - with the dressing - and it only gets better as the leaves soften a bit. Pomegranates have long been a potent symbol in art (with their blood and viscera overtones): Ed here admiring Dali's "One Second Before Awakening From a Dream Caused by the Flight of a Bee Around a Pomegranate" in Madrid. 1. Make the dressing - combine olive oil, lemon juice, grated lemon rind (I use a lemon zester to remove the top layer of the lemon skin before juicing the lemon), Dijon mustard, salt and pepper and chili flakes in a small jar and shake well to combine. 2. Wash kale leaves and remove thick stem. Cut leaves finely - the finer the better. Dry cut leaves. I put them into a clean tea towel and spin to remove excess water. 4. 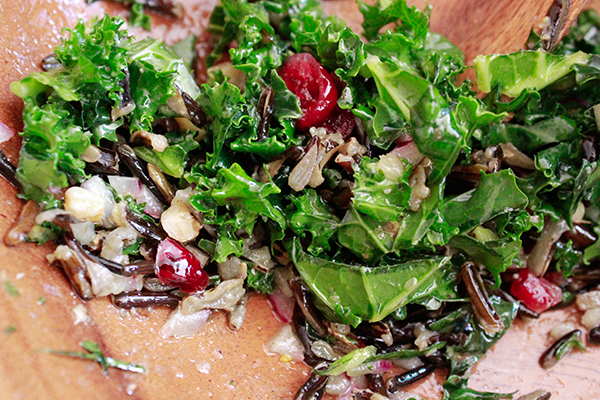 Wild rice really adds some complexity to this salad. Cook according to directions. If you have extra you can freeze. You could substitute brown rice instead. If you are having another carb with your meal you can omit the rice. 3. 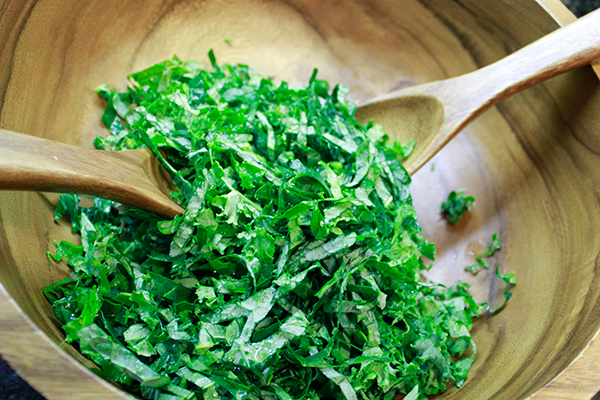 Important: Add dressing to chopped kale at this stage so that dressing has a chance to soften the kale leaves. 4. Chop red onion and red capsicum if using and add to kale. Add chopped dried cranberries. 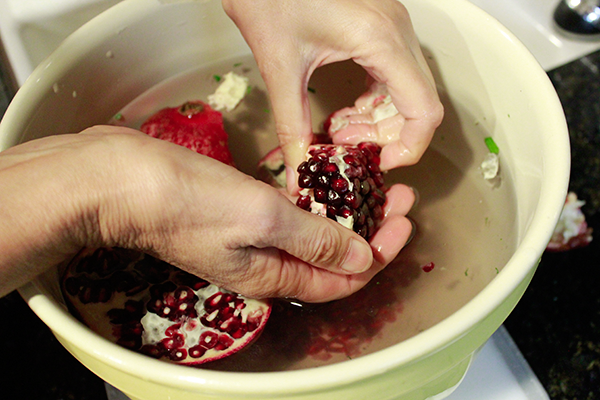 Tip: A micro grater or lemon zester is a useful tool in a well stocked kitchen. If you don't have a zester, use the small holes on your grater to make the lemon rind. ​Tip: No lemon juice? You could substitute vinegar or half lemon juice and half vinegar. But do try to use lemon juice - the dressing will be much more flavorful. We always grow kale in our winter garden so I am lucky enough to be able to just pick leaves of "curly leaf" or "lacinato" kale (aka Tuscan cabbage) and just rinse them, cut and serve.